Following the recent announcement of some U.S. dates, A$AP Rocky and Tyler, the Creator have revealed that they're bringing their joint "Rocky and Tyler" tour into Canada this fall. While dates continue to be added to the trip, it's been confirmed that they head to Vancouver in November. A press release issued today (August 14) explains that Pretty Boy Flacko and the Cherry Bomb rapper will bring the tag-team trek out to Vancouver's Rogers Arena on November 10. As with the rest of the trip, it will feature opening sets from tongue-wagging D-boy Danny Brown and rising Cali rapper Vince Staples. Though Tyler, the Creator won't be there, Rocky and the rest of the acts previously revealed that they'll be hitting Toronto's Echo Beach on September 25. That said, Tyler pops up in Hogtown a week earlier as part of Riot Fest. You'll find the details on the updated co-headlining trip, as well as a few additional dates, down below. 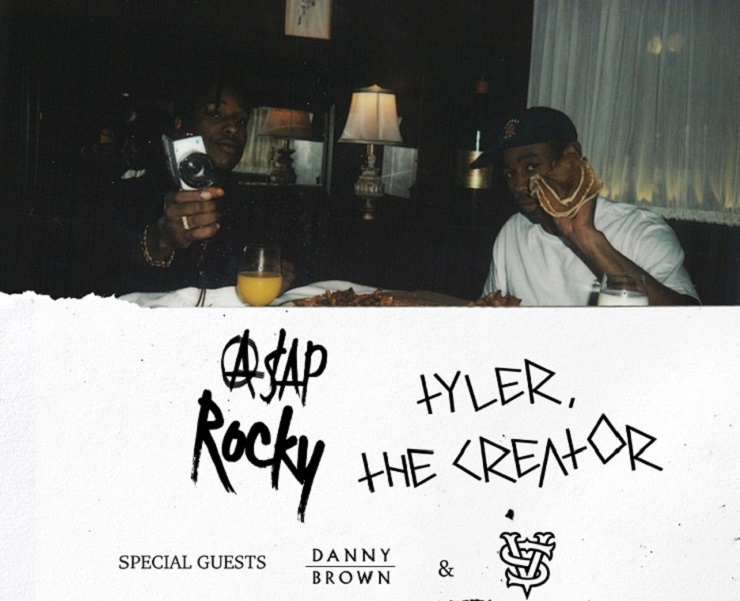 The upcoming Vancouver stop marks the second time that A$AP Rocky, Danny Brown and Tyler, the Creator will have played in BC this year. Last weekend, Rocky performed at the Squamish Valley Music Festival, while D-Brown and Tyler turned up at nearby Surrey's FVDED in the Park festival in July.